Correctly implemented online marketing techniques all work together and support each other to enhance your business. If you've read our free internet marketing guides then you'll have a good understanding of restaurant internet marketing (if you haven't then sign up to receive your five FREE newsletter lessons). However, if you're keen to do more we can personally work with you providing a range of online marketing services to really make the internet produce sales results for your restaurant. Whether you need to redevelop your restaurant website to enhance your conversion rate or search engine visibility, or whether you would like to implement an email campaign that delivers immediate bookings, we can work closely with you to improve your online bookings and online marketing return on investment. Many companies claim they are experts in Internet Marketing for Hospitality, Ignite actually are. 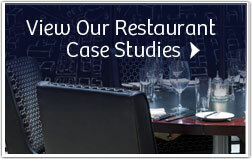 For an example of our successful campaigns take a look at our client case studies. Our goal is to help restaurateurs succeed online. The Online Distribution Channel is the biggest growth channel and it is also the cheapest. Smart restaurateurs should dedicate increasing proportions of their marketing budgets to internet marketing. Leverage the power of the web to boost your restaurant's peformance!